Yesterday, I mentioned the comedic movie poster stylings of Jack Davis — and today here’s Rick Meyerowitz, another incredibly prolific illustrator who worked at National Lampoon (where he did the infamous Animal House one-sheet) and later with Maira Kalman of The NY Times. 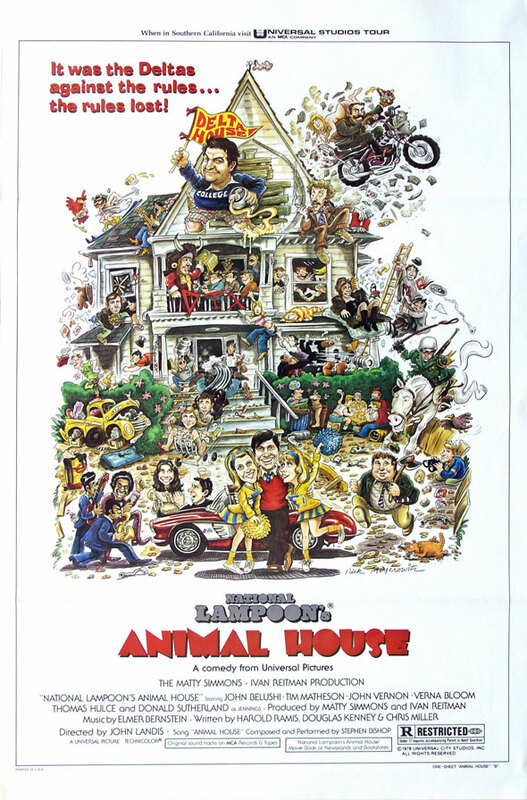 This entry was posted in 1970s posters, Artists & Illustrators, Jack Davis and tagged animal house, maria kalman, national lampoon, rick meyerowitz by russ. Bookmark the permalink.